In April 2018, a non-profit humanitarian international NGO (non-government organization) was formed called Ozone Without Borders (OWB). This newly formed NGO has ozone and other oxygen therapies as its cornerstone for educating about and applying non-pharmaceutical treatments without discrimination from medical monopoly agents. American Dr. Robert Rowen, an ozone therapy specialist, was instrumental in the organization's formation. In October of 2014, Dr. Rowen and his colleague, Dr. Howard Robins gathered up donated medical ozone producing equipment and headed into the internationally highly-publicized epicenter of an Ebola breakout, Sierra Leone, a small nation on the western coast of Africa, at their own risk and cost. 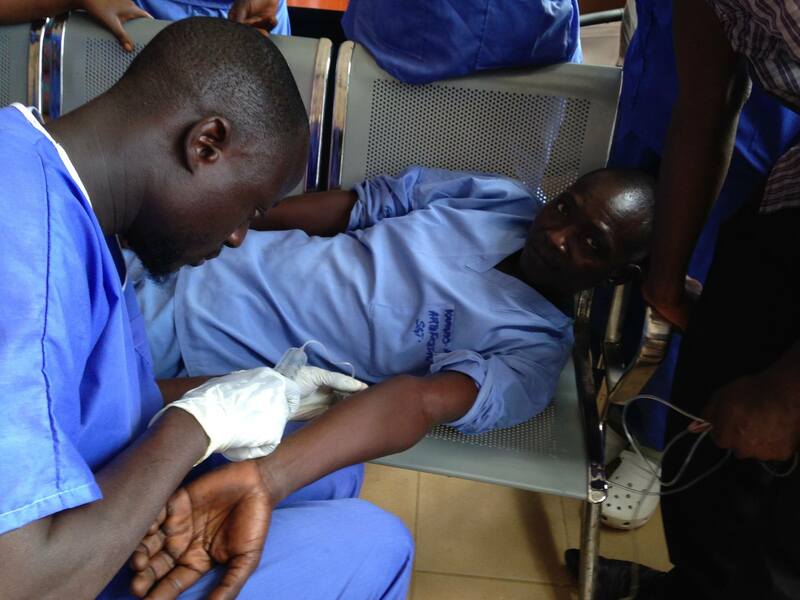 He immediately sought to train some of the local doctors treating Ebola victims. A few had already become infected themselves, and they were the first to be offered ozone therapies. Immediate positive results were observed within 48 hours. Three victims with confirmed to have recovered completely and an infected fourth who was asymptomatic did not succumb to the disease. Despite these early successes, the Sierra Leone Minister of Health decreed the Rowen/Robins project be halted, and condemned some of the doctors. Apparently, inexpensive and effective ozone therapy which cannot be patented was a threat to Big Pharma and their desire to develop Ebola drugs and vaccines. They were ordered not to treat patients anywhere in Africa. As a result, in what Dr. Rowen claims was a "crime against humanity", many people died. Dr Robert Rowen is a great doctor and a greater human being.. He and his dedicated wife Dr Teri stayed with me a few years back. It was a learning experience for us. He deserves the Noble Prize that he will never get. Ebola Treatment Super Strength Oil of Oregano...but 1st do PATCH TES on arm to see if allergic... SS Oil must go under the TONGUE seven (7) drops or more if needed.